The second generation Wave Ignitus 2 football boots feature the famous Mukaiten panel on the medial side putting the means to deliver even deadlier 'non spin' movement of the ball at your disposal. 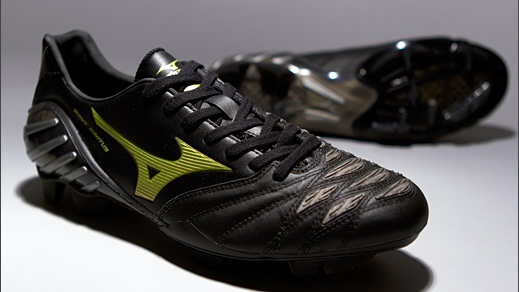 Engineered to help you score more goals, the Mukaiten Panel on these Mizuno Wave Ignitus 2 football boots reduces the rotation of the ball by 17% making it harder for keepers to predict the trajectory of the ball in the air. Featuring an elite moulded multi-stud pattern with specifically positioned PU studs that reduce stud pressure, these Mizuno Wave Ignitus 2 football boots provide excellent foot holding and comfort on firm ground.